We come alongside partner agencies to support them with expertise and insight. We join our partners in their journey and offer what’s needed when the moment is right. We offer the stability and strength that comes from hard-won experience, enabling our partners to be confident and courageous. You could have sold the agency, but you didn’t. You took the road less traveled. And that road can be lonely. Success rests squarely on your shoulders and the path forward isn’t always clear. It means freedom. But it also means responsibility. Independence is about staying true to the commitments you’ve made – to your clients, your colleagues, your community, and your family. At Keystone, we connect you to a community of like-minded independent agencies. We provide industry expertise, access to carriers, and relationships to people who will sustain you over the long haul. With Keystone, independence works better together. Keystone started in 1983 when four independent insurance agencies teamed up to pool their experience and expertise. Determined and scrappy in the face of a difficult market, this small group believed that agencies could be stronger and more successful if they linked arms. That same belief drives Keystone’s ambition today: to strengthen independent agencies so they can better serve the businesses and individuals in their communities. In 1999, we reinforced our foundation by updating Keystone from a cooperative association of like-minded agencies to a franchisor model. We deepened our well of expertise and added services to strengthen the ways agencies serve clients. Today, the passion that started Keystone is the spirit that sustains us. 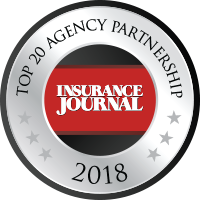 We’ve grown to almost 300 agency partners in multiple states who benefit from a full range of services to meet their evolving needs and of those of their clients. Despite the changes in our profession, our mission remains unchanged: to provide access to the expertise, resources, and relationships that sustain independent insurance agencies over the long haul. Since 2009, we have made autism our corporate cause to promote awareness and acceptance of individuals and families impacted by autism. We’ve organized our own foundation, The Keystone Autism Fund, to raise funds that maximize the dignity, independence, and quality of life for individuals and families living with autism. Since its inception, the fund has raised $1 million for the Autism Society of America as well as state and local organizations through a series of charitable events, including golf outings, auctions, and sponsorships hosted by our independent agencies, carriers, and staff. Keystone’s support of autism isn’t just our corporate cause – it’s a personal commitment. Our Executive Vice President of Property and Casualty, Joe Joyce, now serves as the Executive Chair for the Autism Society of America’s Board of Directors and has served as Treasurer on the Executive Committee. Joe’s family, as well as those of some of our agents, has been impacted by autism. Our collective experiences and our support to empowering individuals affected by autism are unwavering.